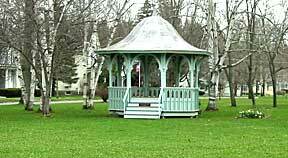 Oxford is an historic village, incorporated in 1808, of beautiful old homes, churches and well-kept parks. Some of the community's treasured attractions are 6 On The Square- a major center for folk music performances (many of international fame), the Theodore Burr house-listed on the National Register of Historic Places, the Oxford Historical Society Museum- which houses a collection of railroad and town memorabilia, the David L. Emerson Soccer Field, host to the Chenango "Chargers" Soccer Club and both Hoppie's and The Stadium, new restaurants housed in antique buildings that stood alongside the Chenango Canal (1837-1878) during its heyday, are especially worth a visit. The surrounding town has quiet residences, acres of undeveloped land, productive farms- for horses, sheep, poultry, alpacas, and dairy, as well as rivers and woodlands teeming with wildlife. Oxford is a community of residents, many employed in the manufacturing plants of surrounding towns or actively involved in agriculture. Visit the wide variety of local retailers or take a long stroll through the quaint village. There's always plenty to see and do, or relax and enjoy its natural beauty. We would like to extend a special thank you to the late Charlotte Stafford, former Town and Village of Oxford Historian for her invaluable help with the historical portions of this web site. Without her aid, much of this would not have been possible. Place: Oxford , Status (Type): village (1 sq mi/2.6 sq km; Population: 1,584); in Oxford town (132 sq mi; Population: 3,992), Location-Chenango County, central N.Y., on Chenango River, and 28 mi/45 km NE of Binghamton. In agr. area (poultry); dairy prods. Site of N.Y. State Women's Relief Corps Home built in 1896 (rebuilt in 1970's) and now operated as the N.Y. State Veterans' Home. Settled 1788; inc. 1808.